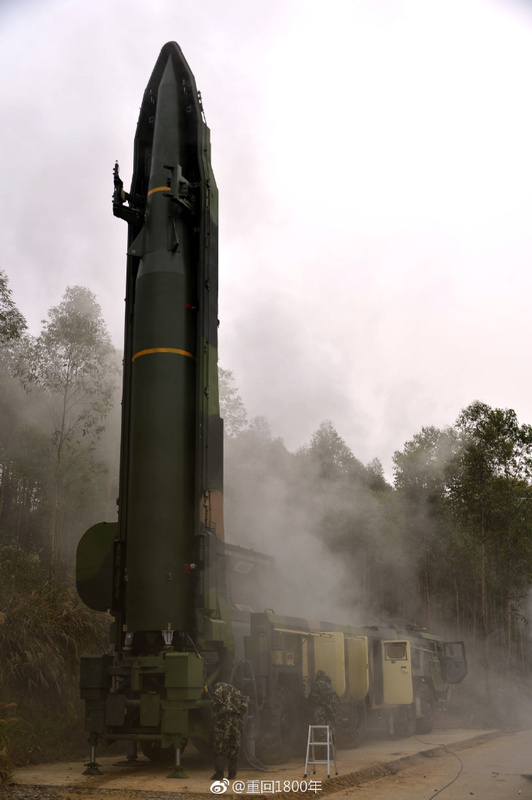 The Chinese mobile operational-tactical missile of the advanced range DF-16. 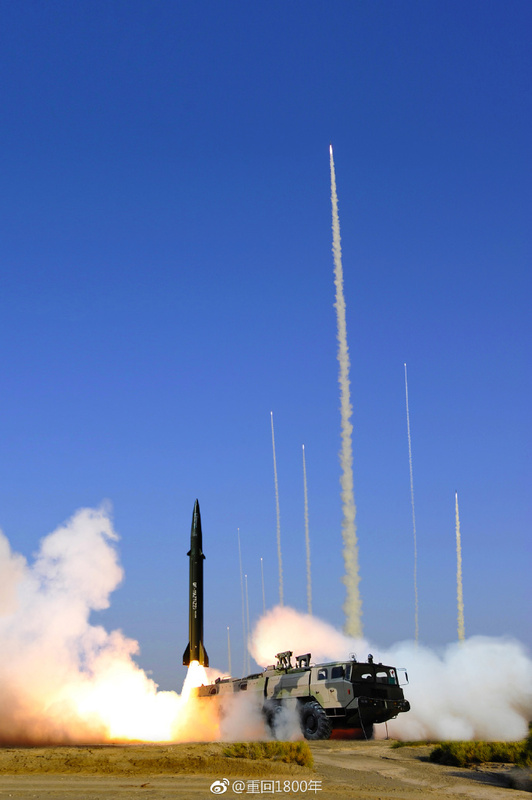 It is believed that the missile can carry 1, 2 or 3 warheads with individual guidance. The range of fire is from 800 to 1000 km. Flight tests, presumably, were carried out in 2009-11. 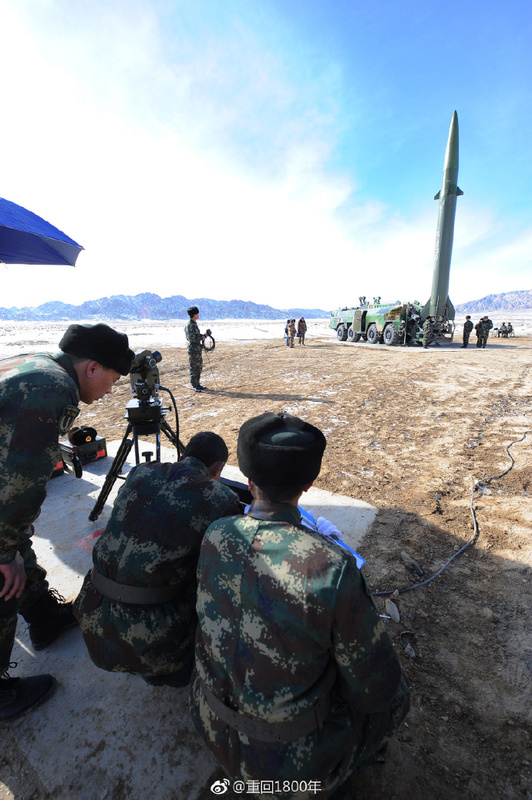 The DF-16 entered service with the PLA. 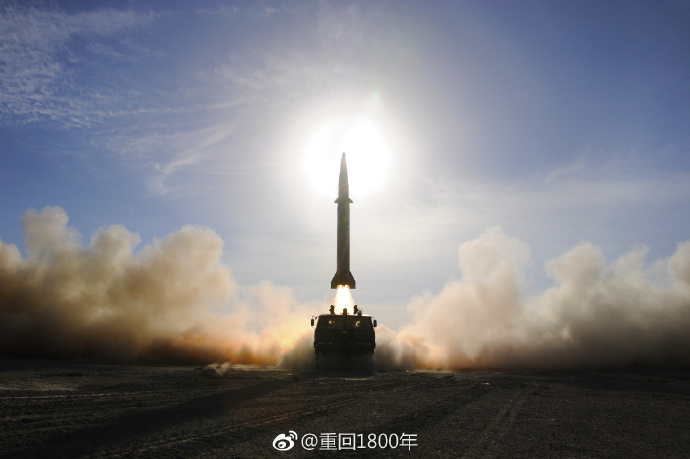 DongFeng 11 (export name: M-11, NATO designation: CSS-7) is a mobile, single-stage, short-range ballistic missile developed at CASIC Sanjiang Space Group (also known as 066 base) located in Hubei province. 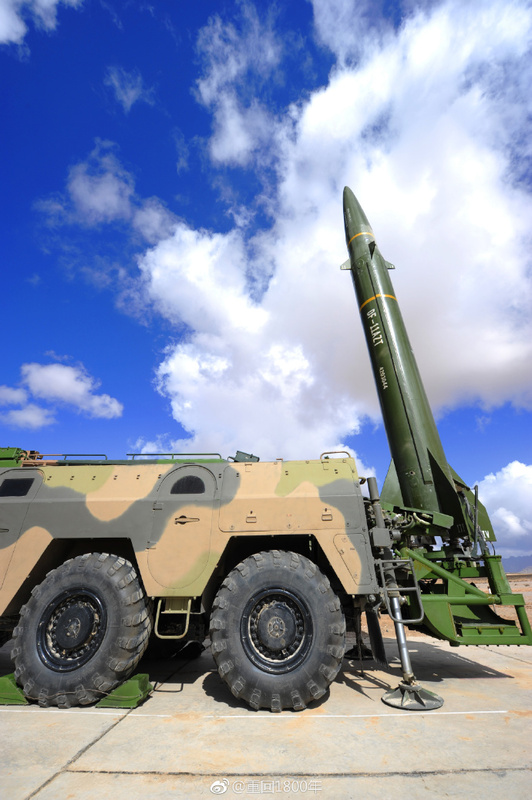 The missile is on a four-axle transport-launcher, which has much in common with the TPU of the Russian SS-1C Scud-B missile. The DongFeng 11 rocket was developed in the 80s and was intended for the export market. The upgraded version of the DongFeng 11A, which has an increased range of fire and increased accuracy, went into service with the Chinese army in 1999. DongFeng 11 is a mobile single-stage solid-fuel short-range ballistic missile. The basic version of the rocket had a range of 280 to 350 km and a payload of 500 kg. The upgraded DongFeng 11A range was increased to 500-700 km. In addition to the conventional high-explosive (HE) warhead, the missile can be equipped with cassette, chemical warheads, as well as a bulk explosion (FAE) ammunition. It can also carry a tactical nuclear charge of 2 to 20 kt. IRBMs may also be put on trains- bringing all of India & her navy in their crosshairs from Tibet, Inner Mongolia &/ Sinkiang. An EMP burst can disable an entire CSG. Next, AShCMs can hit every ship w/o any countermeasures & defensive armaments able to be effectively employed against them. If it was feasible, they would have done it already. 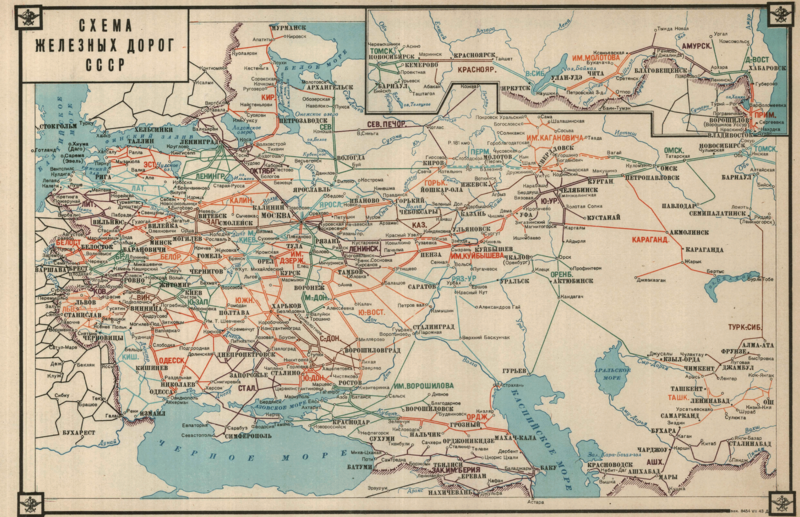 Big Russian cities r farther way from each other, & have less population than in China. Also, in the present economy, most people can't afford to pay higher fares anyway, so those trains & lines will take longer to break even. So what you are saying is that if space travel to other stars will never ever happen because it hasn't been done yet by humans from Earth? They have said that they are turning from military spending to infrastructure and one of the things they are looking at is high speed trains and generally upgrading their rail network. BTW the Chinese have had massive success with upgrading their train network and the internal travel between cities has boomed because of improved network access internally between Chinese cities. 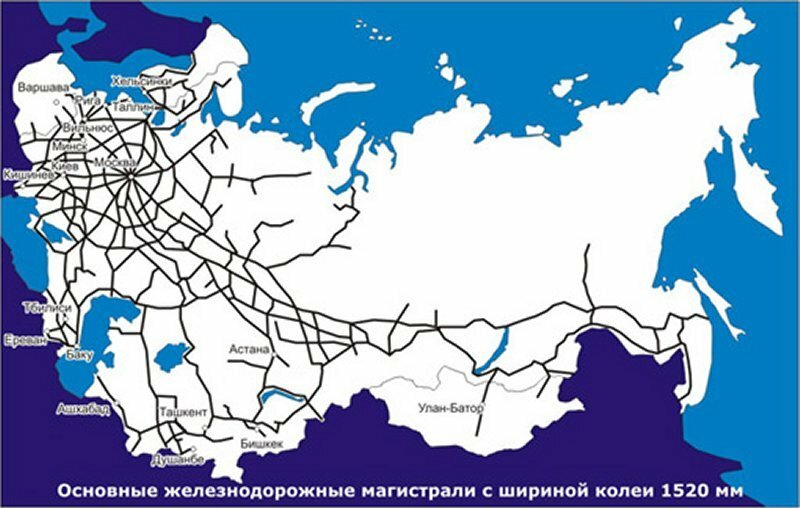 Improved rail links between cities will improve things for the Russians and open up some regions that are currently rather isolated. The ultimate pressure is to further improve rail links across the country to encourage and expand capacity from Asia to the EU, but they are trying to expand it to cover more areas including the far north as well... there is potential for material to be shipped via the northern sea route to any of the many ports there to put products on trains to then deliver east or west. It will also improve the ability to support operations in the arctic regions and to get minerals and resources out of the far east. The article I read they were trying to decide between German or Chinese assistance in this work... and to be honest with the flaky way the EU is acting my money would be on Chinese assistance in this programme as it would be more reliable and less likely to be cut off. In some densely populated areas it's possible, but I doubt they'll have so many high speed lines as in China. Cargo trains r not safe to operate at such high speeds, & maintaining the lines will be more costly. In some densely populated areas it's possible, but I doubt they'll have so many high speed lines as in China. Well, no, that is not the point... the point is to link different places together, so farmers can take some produce to market in the big city themselves, or people can live further out from the centre of a big city and still get to work each day... or people can go for a day to visit relatives in different cities, or expand their search for work or a friend or whatever. Or just check out a different place for a day or two.... to find out what sort of place they really are. Individual farmers don't go too far to sell their produce- not worth the time & $; they won't need fast trains if it only takes 1-2hrs to reach a city. Also, passenger trains don't have much room for produce; they use trucks for that, not trains full of people & their luggage. Do you think there is a reason for that? If there was no rail network at all the main crop areas would either be linked by road or by air... the latter rather more expensively linked. The point is that where there is a rail network, you can have development and growth because it is linked to the rest of the country... even the far side of it if needed, or the outside world even. Where there is no link... like most of the far east... growth is limited by how much resources you can source locally or how much you brought in with you... or how much can be brought in by air.... roads not being an option... or cross country from the nearest port. Beyond the Urals, the climate & soils can at best produce only subsistent agriculture, not commercial. No amount of new roads will change that. Reindeer meat is transported by ships on the NSR &/ perhaps trucks to the nearest railhead; other red meat is consumed locally- it's too costly to send it West where there's enough cattle for le$$. Only canned seafood is worth sending elsewhere by train from there. That's what big agricompanies do: they process crops & produce, load them on trains/trucks to be shipped 100s & sometimes 1000s of miles in refrigerated cars. No need to have fast trains for that.